Following the huge success of our East End Women’s Heritage Walk and Map our Women Make History team has developed this into an audio version of this women’s heritage walk in Glasgow. 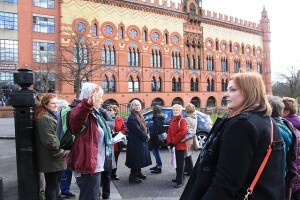 If you are interested in finding out more about the women who worked in the Templeton factory, Suffragettes who were held in Duke Street Prison, or the woman who set up the Barras (and many more) then download this audio tour that will guide you round the East End, starting at the Mercat Cross and taking in points around Glasgow Green, the Gallowgate, and Bridgeton. 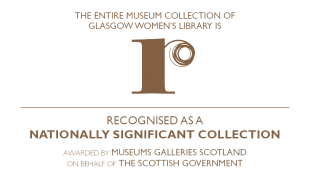 This audio tour has been developed with support from Glasgow International in 2014 and has been developed in English, French, Polish and German. We also received support from the Goethe Institute to produce the German translation of this audio tour. Download our GWL East End Women’s Heritage Walk Map (PDF) to help you find your way around the walk. Please note that the map is in currently only available in English.